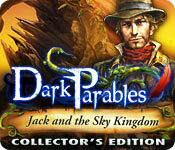 Dark Parables: Jack and the Sky Kingdom Collector's Edition is rated 4.2 out of 5 by 114. Rated 5 out of 5 by Boomer1097 from Another Excellent DP Game This is another excellent game in the DP series. This time it is a twist on the Jack and the Beanstalk fairy tale. You play as the detective and have to help Jack. The graphics, voice overs and cut scenes are excellent. The FROGs and mini games are fun. The background music is okay, but I seldom like background music in any game. There are 20 morphing objects to locate. You also search for items that open various parables that add to the back story. The story had a satisfying ending. The bonus chapter was a prequel and was quite fun to play. The bonus items include mini games, wallpapers, music, cut scenes, the parables and concept art. I really enjoyed this game and look forward to playing the next game in the DP series. Rated 5 out of 5 by KELLER83 from Another winner! I love the Dark Parables games! 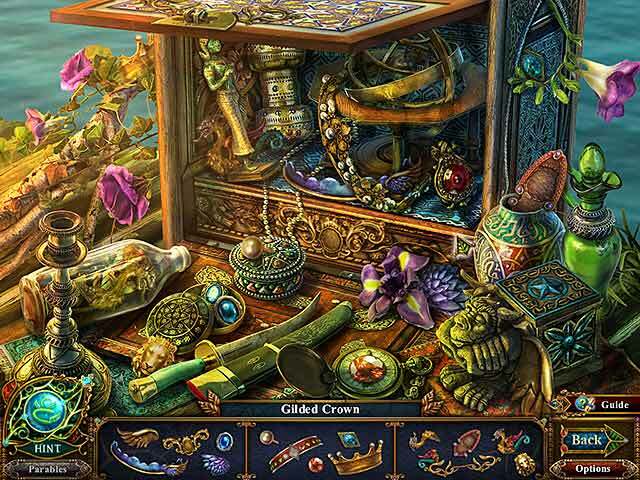 The twists on the classic fairy tales are fun and exciting, the graphics are amazing, the mini games are just hard enough and the hidden object scenes are beautiful. I have all of the games and I can not wait for the next installment! These games are worth every penny and totally replay able! 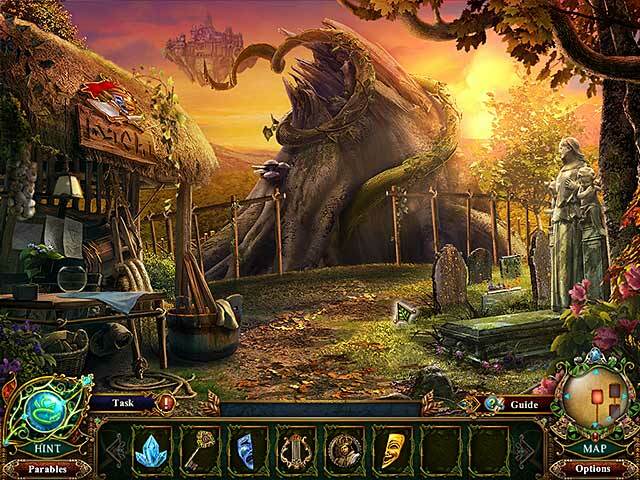 Rated 5 out of 5 by hollyjh from love this game Dark Parables did it again! I love the Blue Tea games. Rated 5 out of 5 by ailesra from Fun Fantasy I loved this addition of the Dark Parables games. The story was great and Jack is Hot! It is one of those games that actually gets you so involved that it is hard to put down. The HO's are fragments which is a nice change from lists. The mini games are fun, but some are pretty difficult... I think better instructions of how and what you are supposed to do would be nice. My mind was set to find all collectables, and I did! The storyline was well done, but pretty predictable. I am happy I bought the Collector's Edition because the bonus game was equally as fun. Because I did have to skip 2 mini games, I knocked my skill level down from expert to intermediate. That alone sums up this game. I can't decide which Dark Parables game is better, this one, or The Little Mermaid and the Purple Tide Collector's Edition. I recommend you try them both! Rated 5 out of 5 by EvilPrincess1426 from Great Game! Once again another beautiful game coming from Blue Tea Game. I love how most of the basics and the heart of the story are a part of the game, but the details have been changed in a way that makes me love it. Rated 5 out of 5 by Mrs_Kim from Jack as Indiana Jones The sixth game in the Dark Parables series by Blue Tea Games ---------------------------------------------------------------------------------- The Dark Parables has returned! Those of you who are familiar with the series surely know of this series which feature famous fairytales with a twist. Now it has returned with "Jack and the Beanstalk" inspired story. There are 3 levels of difficulties. Very nice cinematic, like a scene from a real movie. They also flows very naturally, as if not drawn. Jack is more like Indiana Jones :D Map too bad cannot transfer us to places, plus it doesn't show where any action should be, so it's pretty much useless. There are morphing objects too, to refill your hint meter faster. Along the way you also collect Parables Token to unlock the parables story. All HOG scenes are FROG, a trademark of this game dev. IF you are looking for other diversity in HOG scenes, you might have to find it somewhere else. 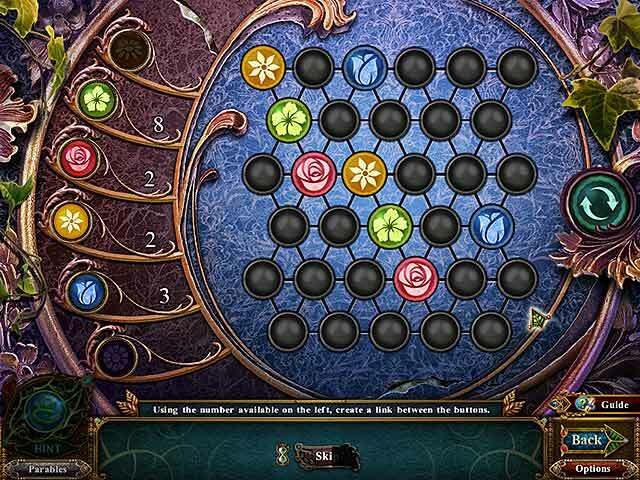 Puzzles are moderate, if you skip a puzzle, the hint button will be disabled for about 3 minutes. Bonus contents unfortunately has nothing special in it, the best part would be the Parables Notes, which I like in all their series. I think this game is better than all other Dark Parables series. If you have to buy one of their games in this series, I strongly recommend this one. Rated 5 out of 5 by nwind from Very Enjoyable! As one would expect from this Dark Parables series by Blue Tea Games, this story was beautifully done. They actually turned a fairy tale into quite a nice story, with not much of a resemblance to the original (which is a good thing). The graphics were beautifully done. I like the way they use HOS to build something to be used later in the story. The music they used during the HO scenes was hauntingly beautiful. I almost hated to finish the scenes because the lovely music stopped. Good story, likable characters, beautiful graphics and some great music. This one is definite winner!